Jeremy McQueen was appointed to the Chief Data Officer (CDO) position on May 1, 2018. As CDO, Jeremy will primarily work on the State Longitudinal Data Systems (SLDS). Additionally, Jeremy will provide OIT with data engineering, analytics and data governance. Jeremy brings to the State over 12 years of experience in data management, governance, research, automation, master data management, business intelligence and data science. Prior to this appointment Jeremy served as the Executive Director of Institutional Effectiveness and Analysis for the University of Alabama Birmingham, where he led the project management, solutions development and system support teams, which provided institutional insights to improve academic processes optimizing student retention and institutional effectiveness. 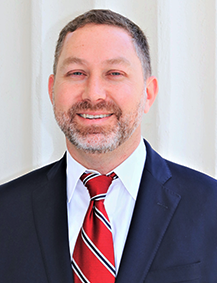 Jeremy has a Bachelor’s of Science in Business Administration from the University of Southern Mississippi and a Master’s of Business Administration in Information Systems from Troy University, Dothan. Jeremy has been married to his wife, Gloria for 23 years and has five children, one who serves in the Alabama National Guard.